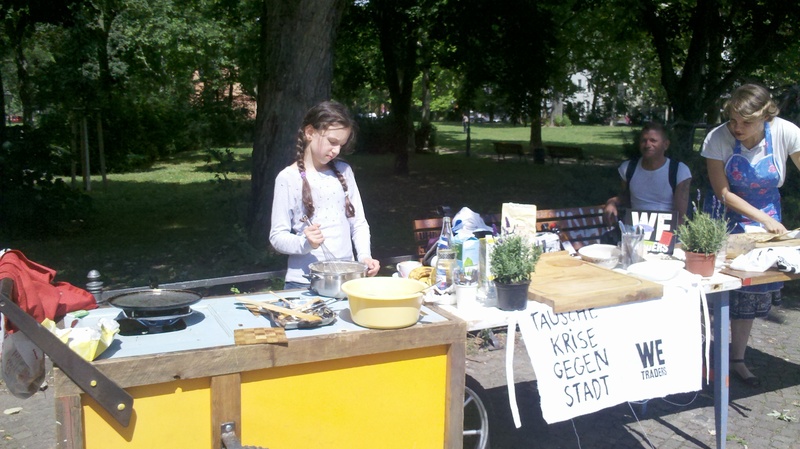 On July 12th, 2014, Dinner Exchange sponsored a workshop for children, organized by Malte Zacharias as part of the exhibition We-Traders, Swapping Crisis for City, in the Kunsthaus Bethanien. Children from the Mariannenkiez selling food they made. 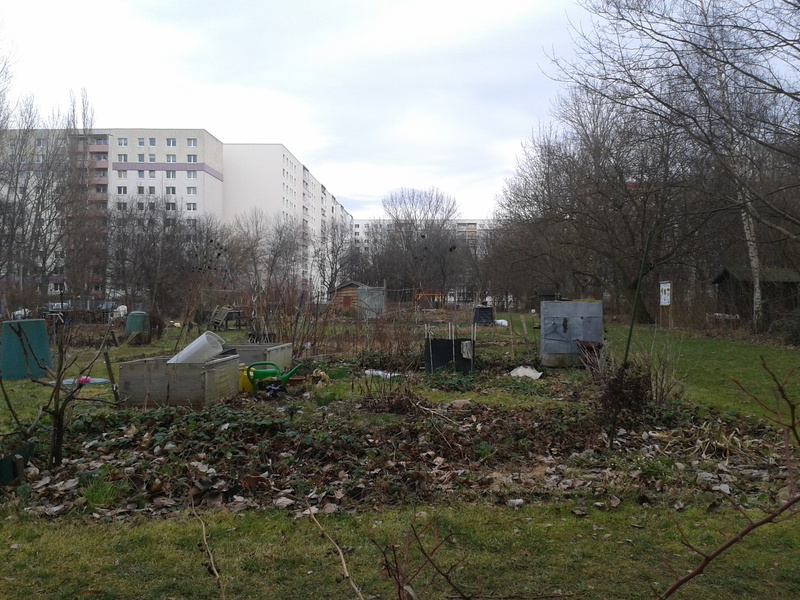 A visit to the Intercultural Gardens in Lichtenberg. Proceeds from the upcoming Brunch Exchange (28.3.2014) will be used to organise a cooking workshop with children from the surrounding area. A contact point for many people in the area. In the summer, the gardens operate their own cafe. We spotted the first crocuses! 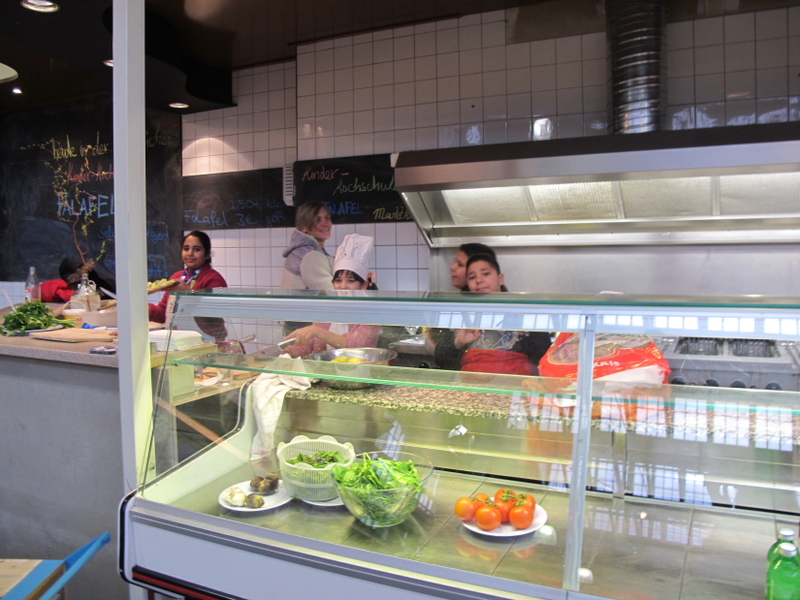 We donated part of the proceeds of the Brunch Exchanges in the Effizienzhaus to the Intercultural Gardens Lichtenberg in Berlin. Intercultural gardens were designed to promote social contacts between immigrants, refugees and natives and consist of parcels of land on which vegetables and herbs, including herbs of the immigrants’ countries of origin, can be grown. In the Lichtenberg gardens, there are currently 34 gardeners with their families, comprising 14 different nationalities. 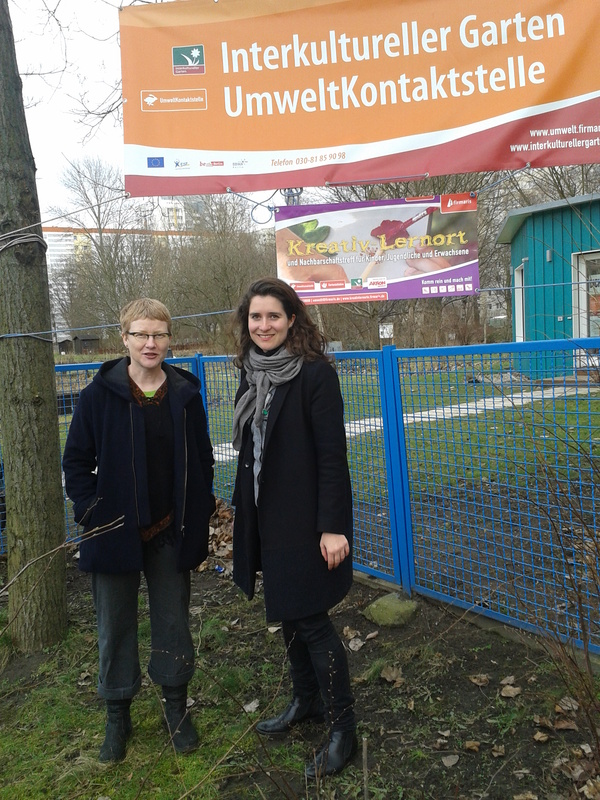 Donations from Dinner Exchange #5 were given to the Ilse-Demme-Gartenarbeitsschule, a place for learning about ecological issues, gardening, cooking. Our donations will be used to buy new cutlery and induction cookers for their new kitchen, a gift from the local authority. Die Einnahmen des Dinner Exchange #5 wurden an die Ilse-Demme-Gartenarbeitsschule http://www.gartenarbeitsschule.de/; Ilse-Demme Gartenarbeitsschule in Charlottenburg gespendet. 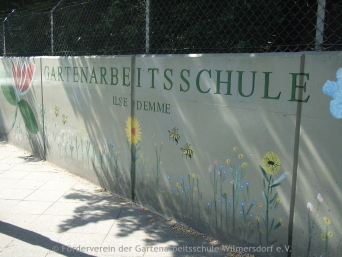 Die Gartenarbeitsschule Ilse Demme ist eine Einrichtung des Bezirksamtes Charlottenburg-Wilmersdorf und für alle Kinder- und Schülergruppen dieses Bezirks ein fächer- und schulübergreifender ökologischer Lernort mit freiem Zugang für die Öffentlichkeit. 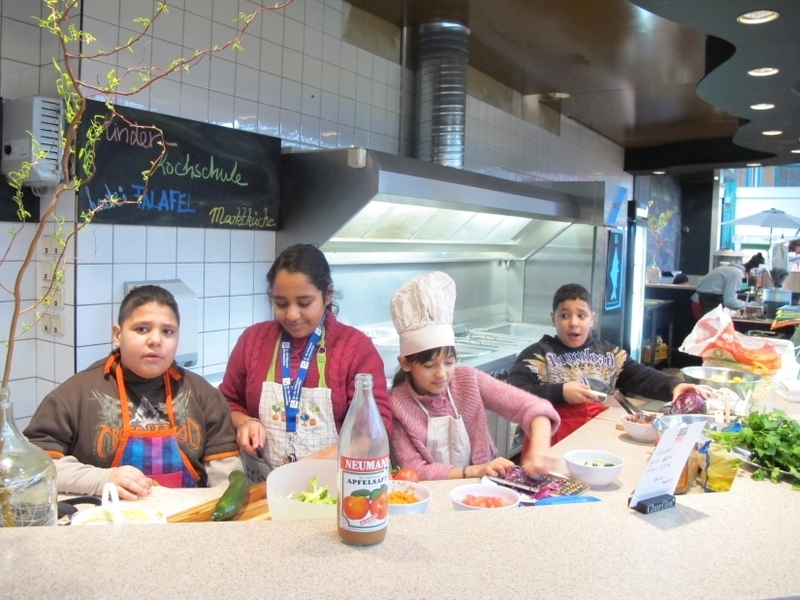 Die Schule hat vor Kurzem vom Bezirksamt eine neue Küche bekommen und will die Spende für neues Kochgeschirr und Induktionskochplatten verwenden. Donations received from our Dinner at Kunstraum Kreuzberg were used to help finance a roof garden at Berlin’s Technical University (TU). The roof garden will be used to grow fruit and vegetables for the cooking courses of the charitable organisation Kulina e.V., and serve as a platform for students to cultivate vegetables and fruit. The garden will also serve as a ‘visual aid’ – showing how food is grown. 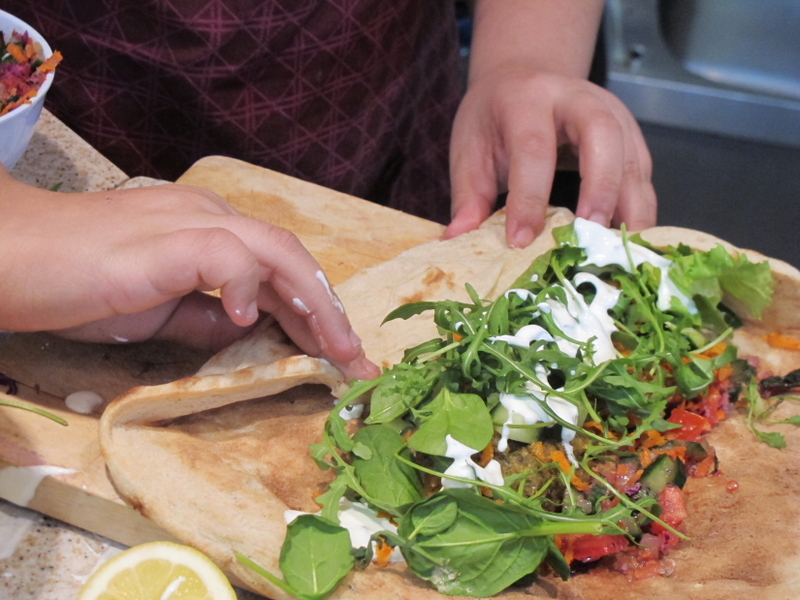 The donations of Dinner Exchange Berlin #3 were used to organise a Do-Your-Own-Falafel-Workshop, in collaboration with Malte Zacharias and the Gartenstudio Berlin. 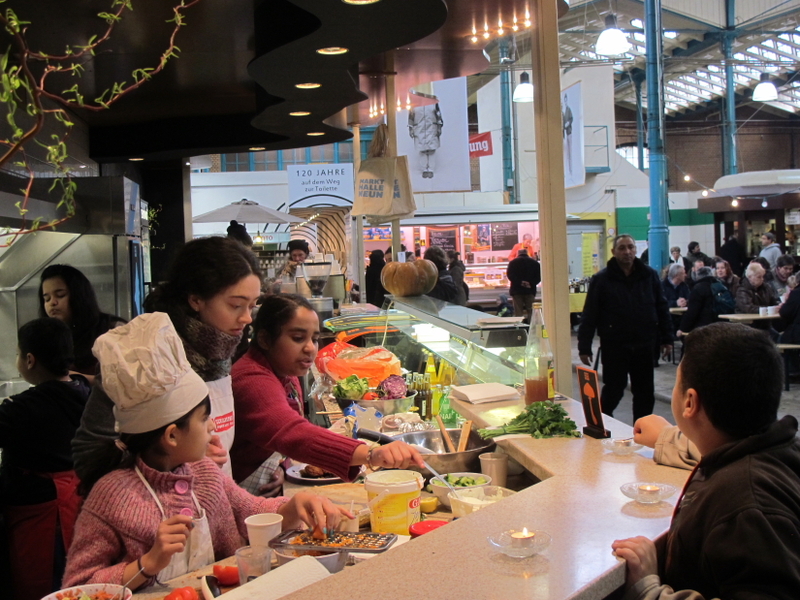 We held the workshop on a busy Saturday morning at Berlin’s Markthalle IX. 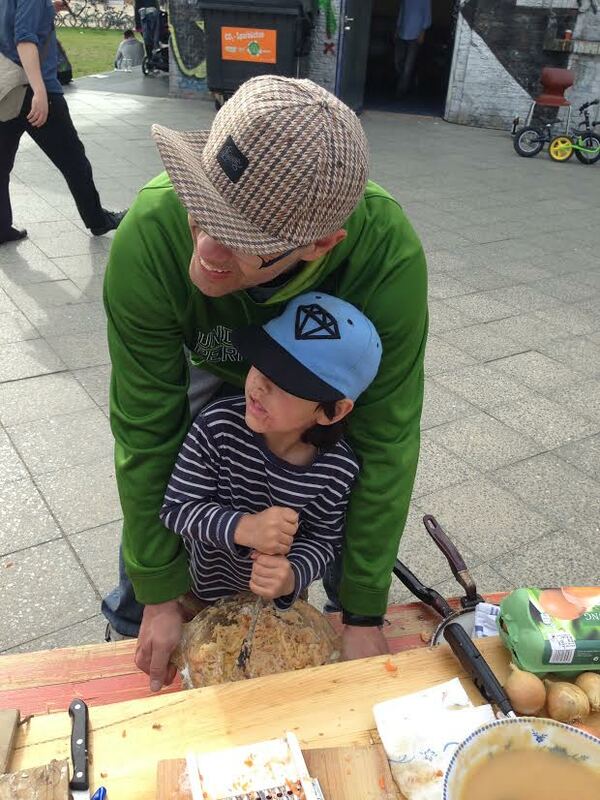 Children from the neighbourhood were invited to make their own Falafel and then sell them to consumers at the market in their own market stall. Everyone had a lot of fun! Die Spenden des Dinner Exchange Berlin #3 flossen in einen Do-Your-Own-Falafel-Workshop, organisiert von Malte Zacharias und dem Gartenstudio Berlin. 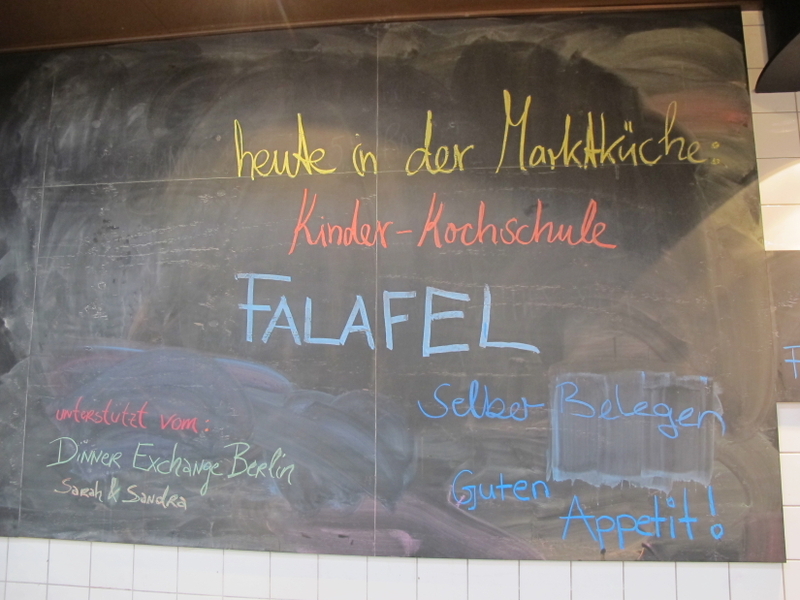 In der Markthalle IX wurden an einem Samstagmorgen inmitten des Marktgeschehens Kinder aus der Nachbarschaft dazu eingeladen, Falafel selber zu machen und sie dann an die Marktbesucher zu verkaufen. Allen, inklusive uns als Beobachtern, hat es sehr viel Spaß gemacht! 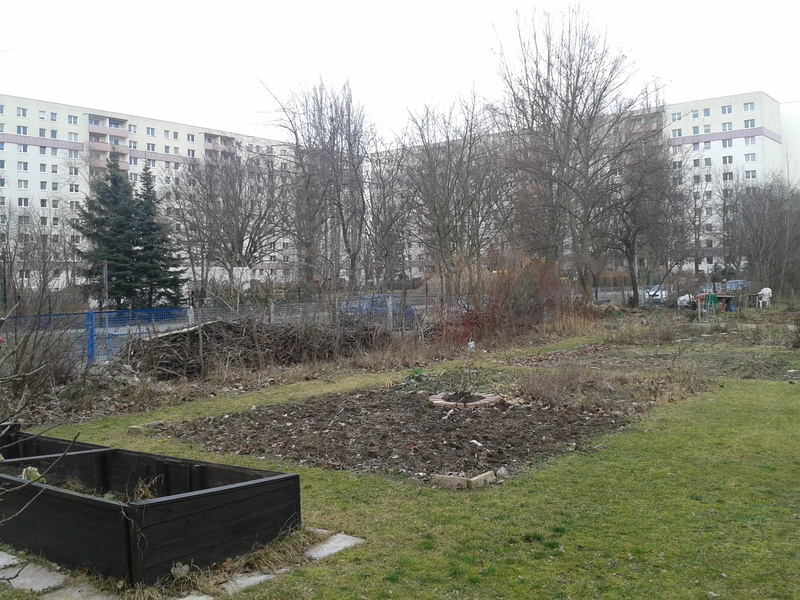 With the donations of the Dinner Exchange Berlin #2, we took on a godmothership for two vegetable beds in the Prinzessinnengärten Berlin. 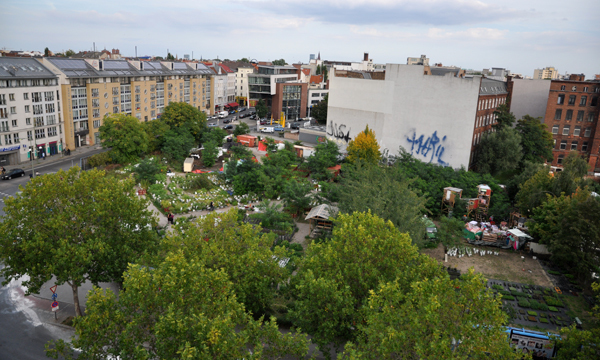 The Princess gardens were launched by Nomadisch Grün (Nomadic Green) as a pilot project in the summer of 2009 at Moritzplatz in Berlin Kreuzberg, a site which had been a wasteland for over half a century. Along with friends, fans, activists and neighbours, the group cleared away rubbish, built transportable organic vegetable plots and reaped the first fruits of their labour. Mit den Spenden des Dinner Exchange Berlin #2 übernahmen wir eine Patenschaft für zwei Beete in den Prinzessinnengärten Berlin. Die Gärten befinden sich seit Sommer 2009 am Moritzplatz in Berlin-Kreuzberg. Wo über 60 Jahre eine Brachfläche war, wird heute eine große Vielfalt von Gemüse- und Kräutersorten mitten in der Stadt angebaut. Im Sommer 2009 wurde begonnen, diese 6000 ungenutzten Quadratmeter vom Müll zu befreien und in einen lebendigen Nutzgarten zu verwandeln. Für unsere erste Spende wählten wir die Aktion “Teller statt Tonne” von Slow Food . Die Organisation Slow Food lädt Bürger ein, an einer gemeinsamen Tafel im öffentlichen Raum verschiedener Städte gegen Lebensmittelverschwendung zu protestieren. Für ihre Aktion sammelt Slow Food tags zuvor bei Bauern der Umgebung aussortierte Kartoffeln und anderes saisonales Gemüse ein und kocht ein Mahl für die Gäste. Die Aktion fand bisher in Berlin, Stuttgart und anderen deutschen Großstädten statt. For our first donation we chose the campaign “Plate instead of bin” of Slow Food . 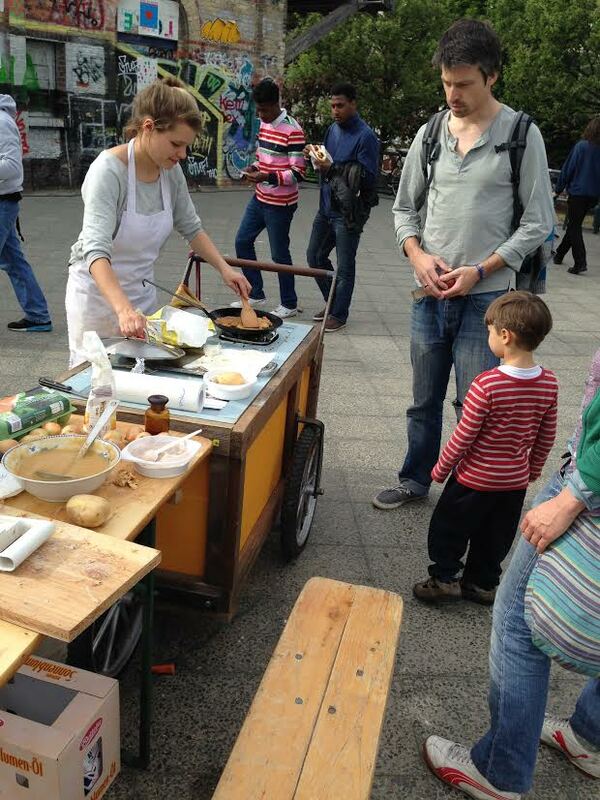 The organization Slow Food invites citizens to protest against food waste gathered around a table in public space of different cities. 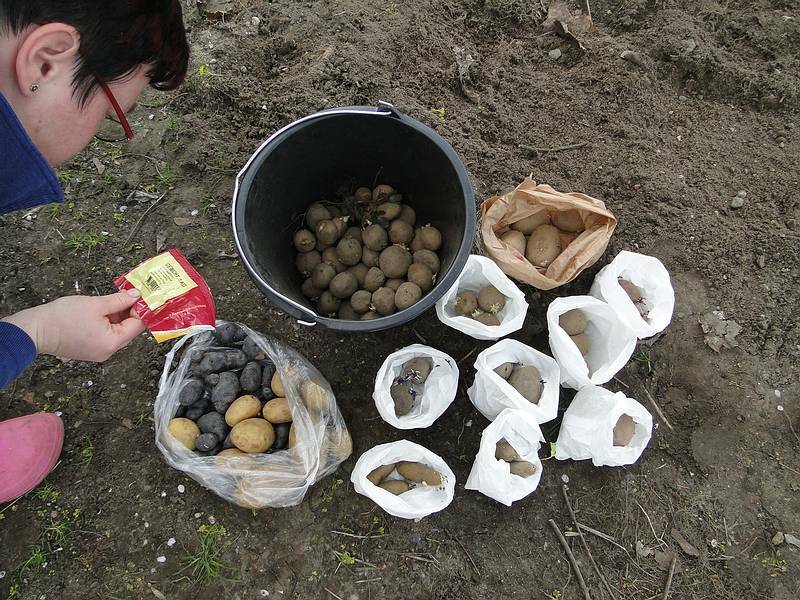 For this campaign Slow Food collects potatoes and other seasonal vegetables that were sorted out by the farmers the day before the event and cooks a meal for the public. This campaign has been taken place in Berlin, Stuttgart, and other German metropolises.